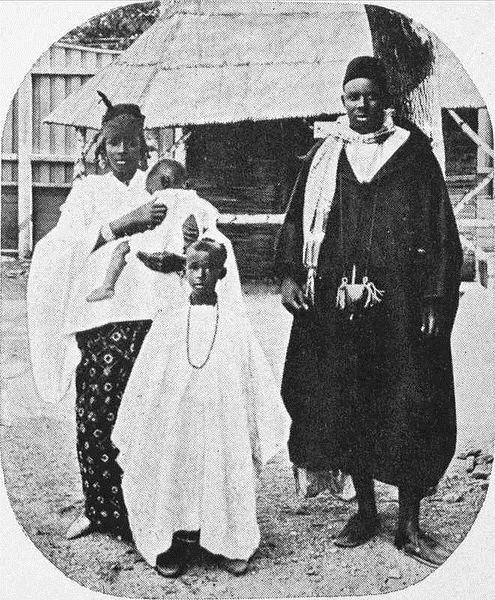 Africans exhibited at the 1914 Jubilee Exhibition in Christiania (Oslo), Norway. Image from Oslo Museum, licensed under the Creative Commons Attribution-Share Alike 3.0 Norway license. Here’s a roundup of what took place during the month of May in 1914. Politics: On May 1, President Yuan Shikai replaces China’s constitution with a new “consitutional compact,” giving himself dictatorial powers. He justifies this by pointing to the many corruptions and inefficiencies of democratic government in China. Spectacle: In honor of the centenary of their Constitution, Norwegians hold a “Jubilee Exhibition” in Kristiana, opening on May 5. One of its major features is a “Kongo Village” in which native Africans could be seen. This was not the first time Africans had visited Norway, but it was a very rare opportunity for everyday Norwegians to encounter them in person and see their “exotic” lifestyle. Holidays: On May 14, President Woodrow Wilson signed a proclamation making Mother’s Day officially a national holiday. Diplomacy: On May 17, the Protocol of Corfu was signed by the Albanian Government and the Provisional Government of Northern Epirus. This is another effort (see previous months) to stabilize the situation in Southeastern Europe subsequent to the Balkan Wars of 1912-1913, which had created various tensions between regional governments and minority populations. In this case, many Greeks living in Northern Epirus had rebelled against Albanian rule, leading to an agreement to limited autonomy, ratified in this document, which was never fully implemented, due to the outbreak of World War One later in 1914.
Business: On May 21, failed car salesman Carl Erick Wickman begins using his show car to transport workers in Hibbing, Minnesota to and from mines for 15 cents a ride. This is the birth of Greyhound Bus Lines. Disasters: The ocean liner “Empress of Ireland” collides with the Norwegian vessal “SS Storstad” in the early hours of May 29 in the Gulf of St. Lawrence, leading to a loss of more than 1000 lives. Opera: The opera Mârouf, savetier du Caire (Marouf, Cobbler of Cairo) by Henri Ribaud opens May 15 in Paris. This will be Ribaud’s most popular opera, based on a tale from The Arabian Nights and using “oriental” themes in the music. Movies: The release of “The Master Mind” is May 11, and “Mr. Barnes of New York” is also in May, 1914. Births: Tyrone Power, who would star in “The Mark of Zorro” and “The Black Swan” is born on May 5, and Lilli Palmer, later to appear in “Mädchen in Uniform” and “Body and Soul,” born on May 21.